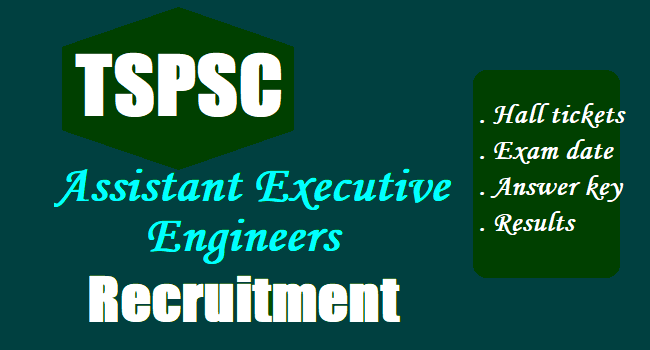 TSPSC Assistant Executive Engineers Results, Certificates Verification Schedule 2018: TSPSC Assistant Executive Engineer Posts 2017 AEE Posts, How to apply, Hall Tickets, Results: TSPSC has given the Assistant Executive Engineers Posts 2017 recruitment notification and applications are invited Online from qualified candidates through the proforma Application to be made available on Commission’s WEBSITE (www.tspsc.gov.in) to the post of Assistant Executive Engineers. It is hereby notified that on the basis of the written examination held on 27-8-2017 & 28-8-2017 to the post of Assistant Executive Engineers in Various Engineering Services, the candidates with the following Hall Ticket Numbers have been provisionally admitted for the verification of certificates. The Verification of Certificates is scheduled to be held from 17/01/2018 to19/01/2018 from 10-00 AM onwards at Government Polytechnic College (Sankethika Vidya Bhavan) MasabTank, Hyderabad. Candidate is here by instructed to produce all the original Certificates as mentioned in the Notification on the same day without fail and should report at 10-00 AM. The candidate is requested to obtain and keep ready all the certificates as mentioned in the Notification. If, on further Verification it is found that any candidate is not eligible with reference to the particulars furnished by him/her in the Application Form / Check List / Certificates, the results of such candidate / candidates shall be cancelled at any stage of selection process. Applicant must possess a Bachelor’s Degree in Mechanical Engineering of a University in India established or incorporated by or under Central Act, Provincial Act, or a State Act or an institution recognized by the University Grants Commission / All India Council for Technical Education or an Equivalent qualification. 1. On the basis of the Written Examination to be held on 5, 6 -08-2017 to the posts of Assistant Executive Engineers in various Engineering Services, the candidates with the following Register Numbers to be provisionally admitted for the ORAL TEST (Interview). 2. The candidate who are qualified for Interview are required to produce the Original Certificates along with two sets of Photostat copies duly attested by Gazetted Officer, relating to Age, Qualifications, Community (Integrated) , Latest Creamy Layer exemption certificate in case of B.Cs as per Memo No.3009/BCW/OP/2009, Government of Telangana, Backward Classes Welfare (OP) Department, Dt:18/12/2015 (prescribed format hosted on website), Certificates relating to claim of age relaxation, Study (from 4th class to 10th class) and if any, at the time of verification for subsequent submission of any of the above certificates. 3. The date, place and day-wise schedule of verification of certificates will be placed on the website http://www.tspsc.gov.in separately. The candidates are requested to obtain and keep ready all the certificates as mentioned in the Notification.